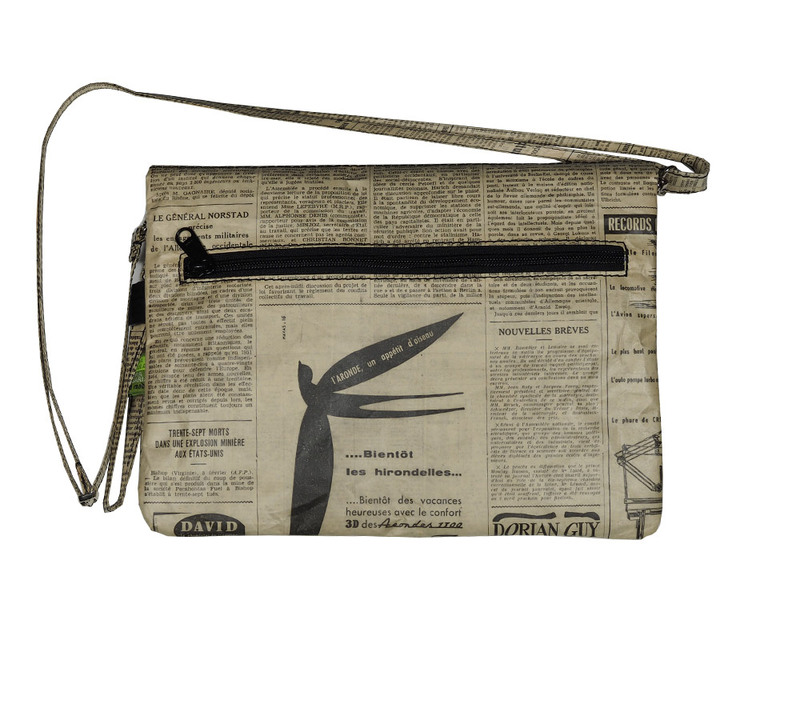 German newspaper bag made with 95% recycled materials. 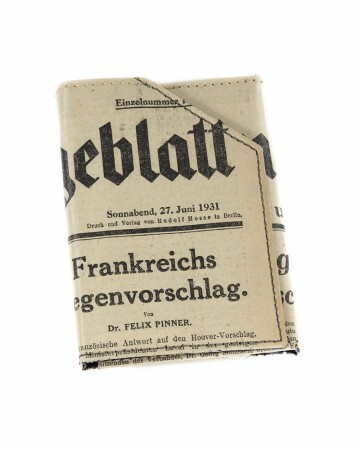 outer: vintage german newspaper Berliner Tageblatt 1933. The Berliner Tageblatt or BT was a German language newspaper published in Berlin from 1872 to 1939. Along with the Frankfurter Zeitung, it became one of the most important liberal German newspapers of its time. 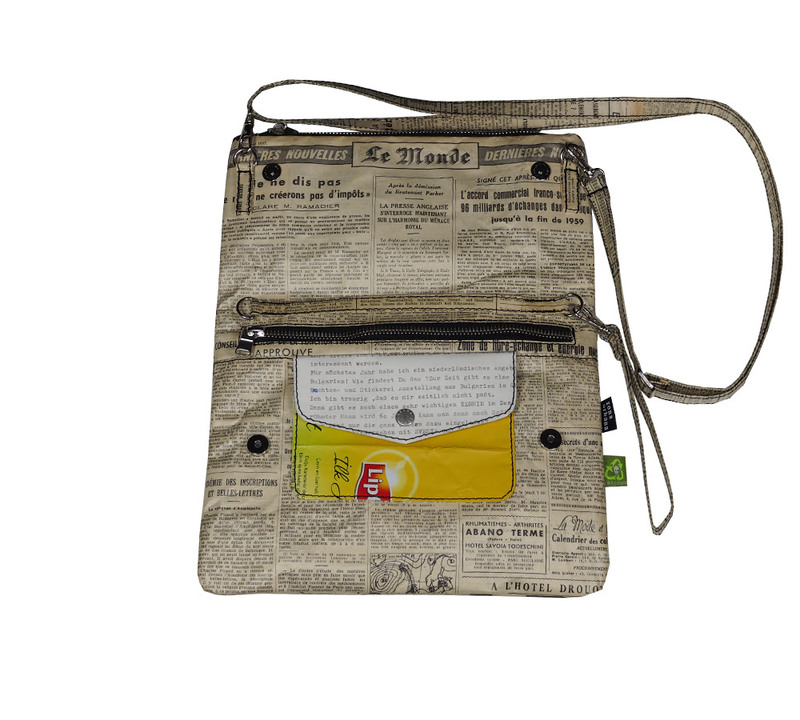 Inner: french newspaper,coffee packaging, newspaper, billboard vinyl, Tetra pack milk/juice packaging. 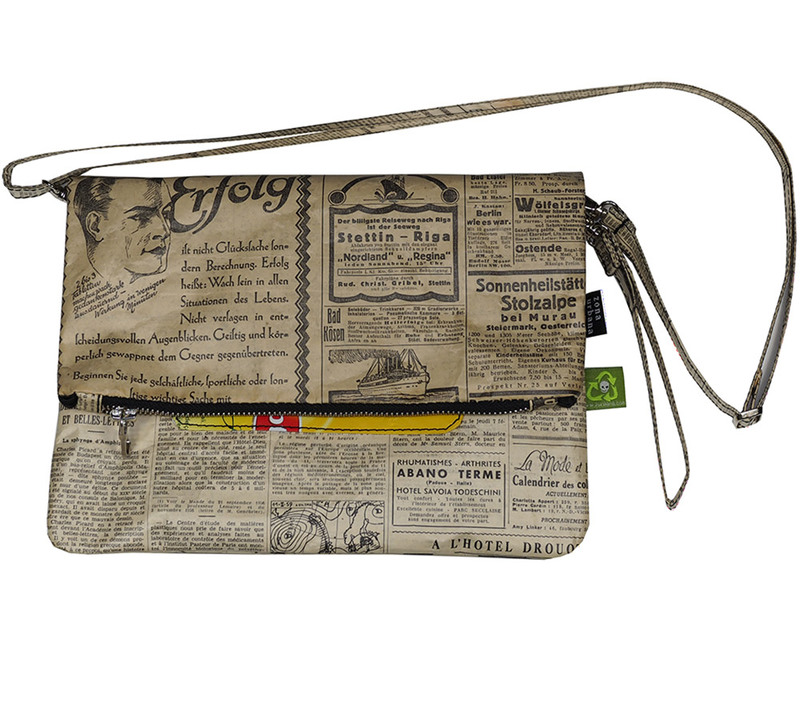 bag containing: a big secure coin or note pocket, metal zipper pocket suitable for mobile phone, pen, keys. 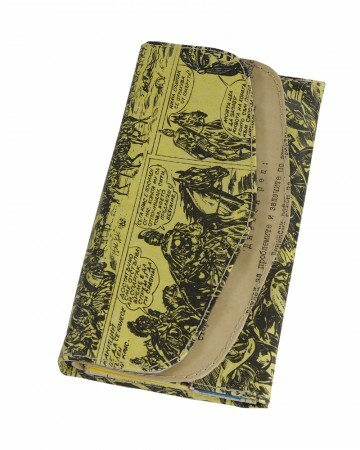 Big metal zipper pocket on the top for notebook or small magazines. 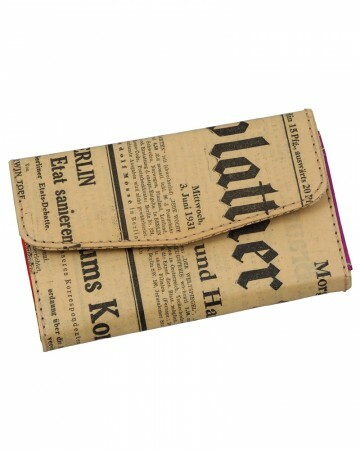 Outside plastic zipper pocket for makeup, cosmetics, cigarets or lighter. You can change the position of handle and you will have bag wit three faces; big, small and normal. Size (cm): h-20. w-26. d-2. Open (cm): h-33. w-26. d-2. 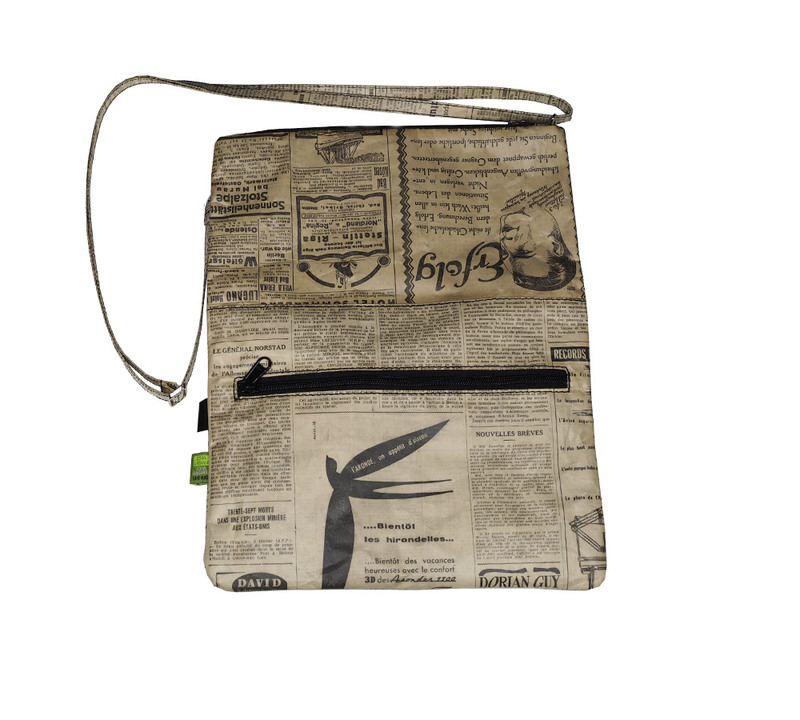 Categories: Recycled Bags, 506 Palermo Bags. 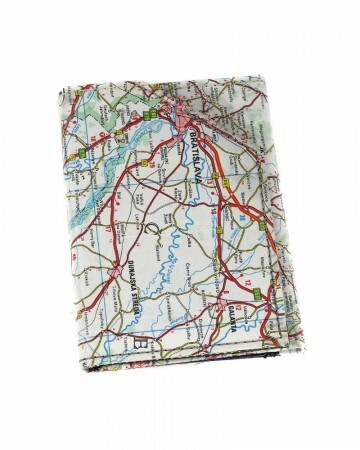 Tags: BillBoard, car inner tube, coffee package, Map, music scores, Newspaper, tetrapack.